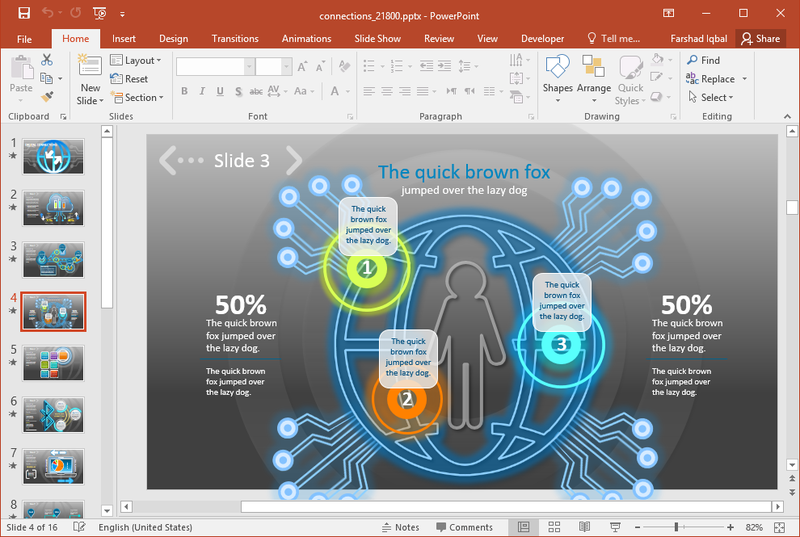 Animations can be powerful tools when used well in presentations. They give life to elements in your slides, making your presentation more dynamic and therefore more interesting. However, many people and even professional presenters steer clear of animations and would like to have nothing to do with it. This is because animations really do have a notorious reputation for actually ruining a presentation and making it look less professional and even childish. Well, guess what–there are animations that you can actually use well to come up with compelling presentations that can really wow your audience. These animations need a lot of thought, though, as well as a lot of time to put together. 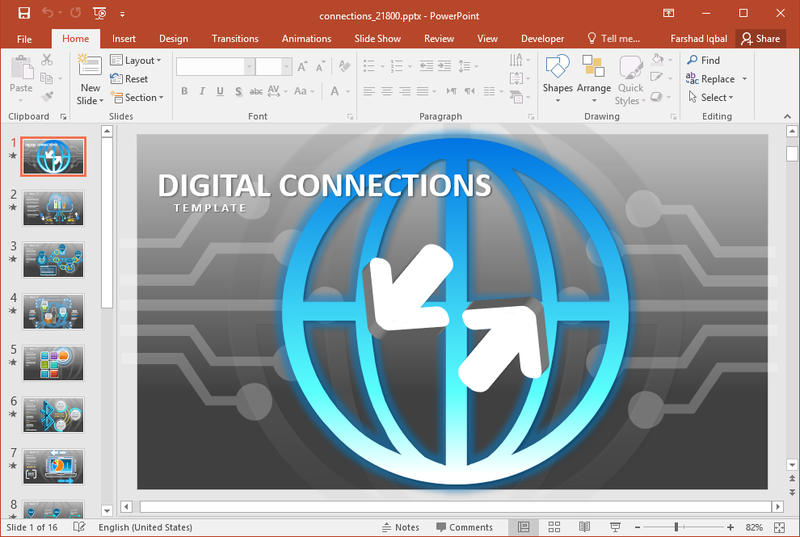 If you have an animated PowerPoint template such as this Animated Connections PowerPoint Template, you can easily throw your worries away. 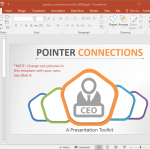 The Animated Connections PowerPoint Template is a beautiful, professional, and eye-catching PowerPoint template that you can use. It showcases the best that animations have to offer in every slide. And more than that, you can use the slide sets for all kinds of presentations, regardless of topic, audience, and message. 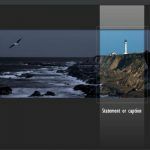 This is because the template has a universal design that you can easily insert in all kinds of presentation themes and topics. 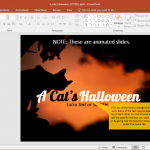 The template features 8 unique slides. All the slides have a gradient gray background with a geometric globe shape overlay. The neutral background effectively makes the illustrations and shapes standout, making certain key elements have a glowing effect that is truly eye-catching. However, the slide animations and elements in each slide are different. 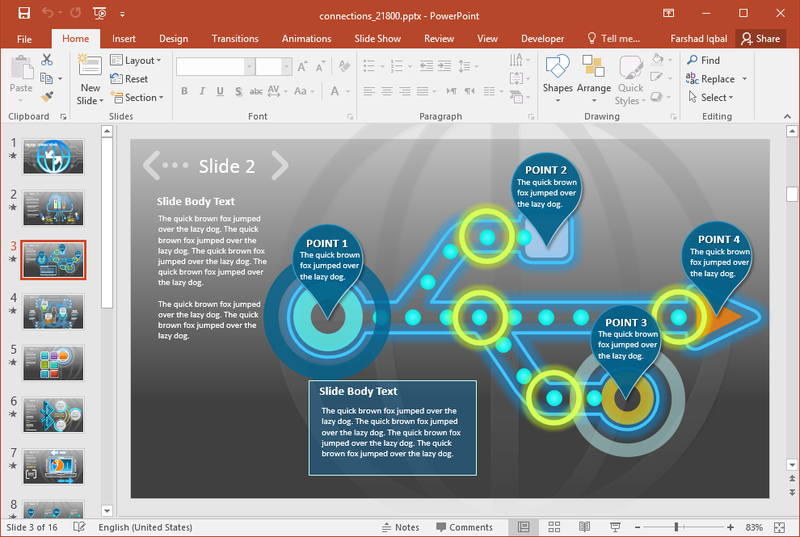 This allows you to take each slide and use for different purposes and different presentations. This makes the template exceptionally versatile and highly usable. Therefore, you can keep this template set as part of your library. 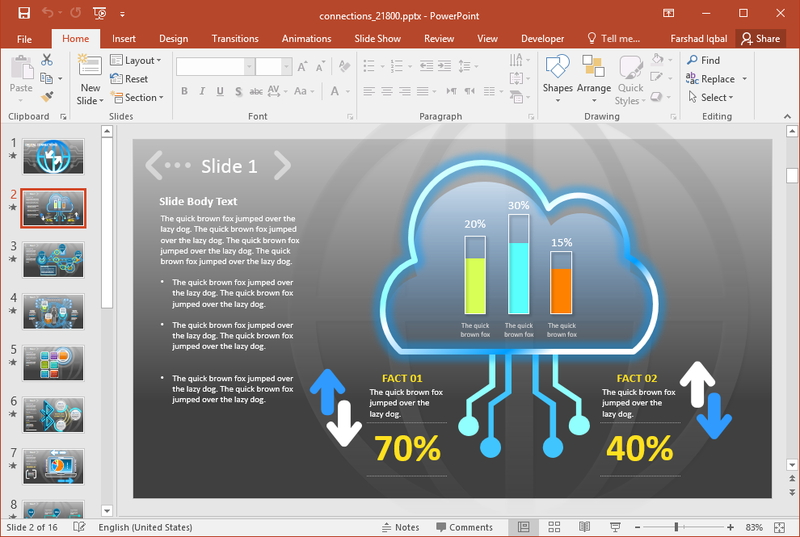 The first slide features a cloud vector and inside it, a line graph, with up and down arrows on each side. There are animations on the text and images in the slide but are well-synchronized with each other to look seamless and professional. The second slide features a timeline marked by points and arrows to show a progression and direction. There’s also an animated text box for your descriptions, and even such text is visible and readable. The third slide contains a glowing blue globe with a man icon in the middle. There’s a title on top of this, as well as connections that seem to stem out of the globe in all four directions. Then, there are three glowing numbers that you can use to enumerate points. This can also be customized so you can add more numbers. You can also edit the percentages on both sides of the slide. The fourth slide shows an animated hand that presses a button. This is great for starting your presentation or for introducing a new topic. The orange button becomes highlighted, but there are also 6 more buttons each in different colors and with text inside. Just click on the text in each button to change the content. Furthermore, you can also customize the highlighted buttons. 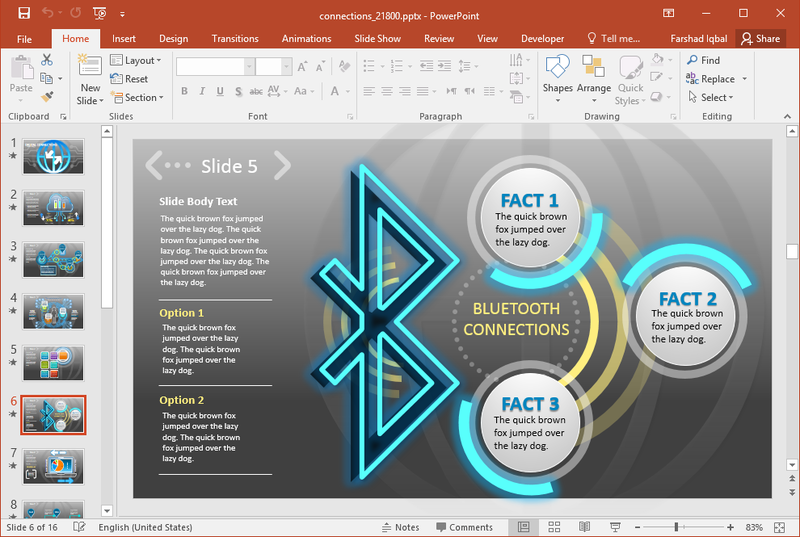 The fifth slide features a Bluetooth image as the main image, with three circles on one side of it, each showing one point or, as with the example, one fact. Then each circle has a blue highlight shape that is animated to catch the eye of the audience. 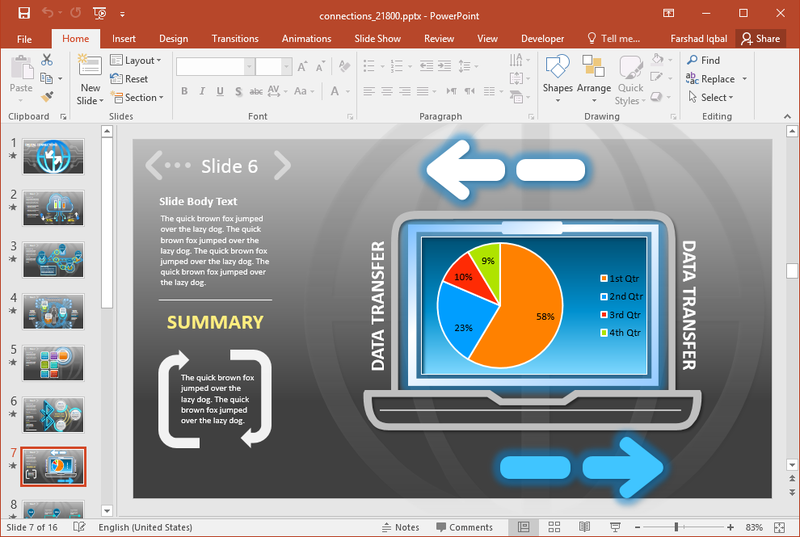 The sixth slide shows a laptop with a pie graph inside, the seventh slide shows a timeline, and so does the 8th slide. 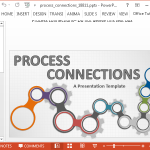 All these slides are easily customizable and have matching dynamic animations. Using these animated templates can help save you a lot of time and energy because creating and choreographing animations for each slide can be time-consuming. 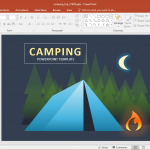 With these slide templates, just make a few tweaks to customize each and create your own content–and you’re good to go!